Gutted I missed the CCTV deal managed to find the same deal with 1TB hard drive for only £20.00 more So happy Days! Anyone got one of these, care to show what th quality is like both day and …Anyone got one of these, care to show what th quality is like both day and night vision please. Ah! Got the deal for the cameras and DVR yesterday, any idea if this HDD is on offer anywhere separate? Ah! Got the deal for the cameras and DVR yesterday, any idea if this HDD …Ah! Got the deal for the cameras and DVR yesterday, any idea if this HDD is on offer anywhere separate? No worries.. had the same issue a couple of days ago .. that's the only reason I know! Anyone got one of these, care to show what th quality is like both day and night vision please. Oh crap I bought the deal yesterday! I see these are BNC and not PoE, what is the actual quality in regards to say something in the few hundred £'s? 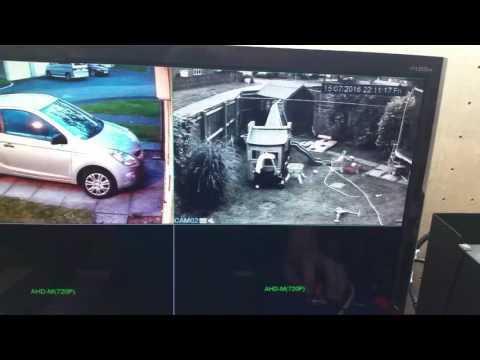 anyone recommend a wifi security cam.for outside.. really dont want to wire the house up. Same .....bought without hd for £35 yesterday,so any info on hd much appreciated if you find out......thanks. Same .....bought without hd for £35 yesterday,so any info on hd much …Same .....bought without hd for £35 yesterday,so any info on hd much appreciated if you find out......thanks. Opposite, I have old HDDs lying about but missed the one yesterday, ordered this instead! So this is coming from the EU warehouse? I'm a Gearbest virgin as well, seems a cracking deal? Any negs anyone? Have been wanting a camera system since ditching Cammy. Yep...im another that bought the deal yesterday without the HDD. Factor in another £50-60 for a 1TB HDD it makes this looks a steal! Seems like very decent value if the quality is OK. Ordered two, one for myself and one of my pals. The Youtube video for the 720p camera's looks encouraging so the 1080p maybe slightly sharper. Night vision also looks reasonable. Opposite, I have old HDDs lying about but missed the one yesterday, …Opposite, I have old HDDs lying about but missed the one yesterday, ordered this instead! For CCTV please make sure to use specific cctv rated hard drives not just old ones you have. Yep...im another that bought the deal yesterday without the HDD. Factor in …Yep...im another that bought the deal yesterday without the HDD. Factor in another £50-60 for a 1TB HDD it makes this looks a steal! I was going to buy extra cameras to go with it, but looks like it can only take 4x 1080p cameras. Is that how everyone else understands it? The listing is acronym city! I've seen poor reviews on CCTV systems 4-6x this price which makes this one a steal. Providing the unit is reliable with reasonably clear images it's a no brainer for me. As others have stated if all goes terribly wrong at least there is a 1TB hard drive (equating to a similar price tag) that could be used for other purposes. You also have Paypal backup if using that option of payment. Just purchased, worth a go at this price. I was going to buy extra cameras to go with it, but looks like it can only …I was going to buy extra cameras to go with it, but looks like it can only take 4x 1080p cameras. Is that how everyone else understands it?The listing is acronym city! Looks like it can take up to 8 cameras. Don't take my word for it though. That's the bit I'm currently trying to understand. I've only used digital IP cameras before. It does take 8 cameras and 4 audio inputs. I paid £30 yesterday, I wish I had got the hdd deal. I suppose it would be impossible to cancel and re-order. Isn't this £160 on Amazon? What a steal! Thanks OP, and ordered. It does take 8 cameras and 4 audio inputs.I paid £30 yesterday, I wish I …It does take 8 cameras and 4 audio inputs.I paid £30 yesterday, I wish I had got the hdd deal. I suppose it would be impossible to cancel and re-order. I sent them a message this morning asking them to cancel. It's worth a shot. I know it takes 8 cameras, but with 8 analogue cameras connected (the type it comes with) I believe they will be limited to 1080N, rather than 1080P. So about half the resolution. The specs suggest it can only support 4 cameras, if 1080P. I would just go for this and use yesterday's order as extra cameras and backup dvr unit. The price of a hdd and the cabling covers the cost. 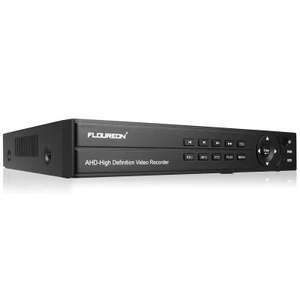 Multi-Resolution InputDVR:8*1080N ;4*1080P …Multi-Resolution InputDVR:8*1080N ;4*1080P AHDNVR:16*1080P;9*1080P;16*960P;4*5M IP CameraHVR:2*1080P 2*1080P(Network);4*1080N 4*960P(Network)That's the bit I'm currently trying to understand. I've only used digital IP cameras before. If you use 8 of them, you can record in half size, 1080n, AHD. Other figures are for other cameras not supplied here. Thanks for that also got another 2 cameras from eu-17 for £6 each. Remember to get some cabling, around £3 for 20 or 50m on Gearbest site. Yes, they look much the same, just one format saves space and you can record more camera feeds.